Mike Daniels is a Project Manager in the Earth Observing Laboratory (EOL) at the National Center for Atmospheric Research (NCAR). EOL deploys lower atmosphere observing facilities such as aircraft, radars, lidars, profilers, sounding systems and surface flux stations for university research projects. The Laboratory is responsible for software engineering and data services capabilities of these research platforms and has deployed customized implementations of these services for field experiments around the globe. During Mike’s 35-year career at NCAR, he has held positions in Software Development, IT Support and Facility Management. 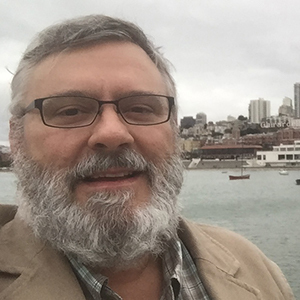 He is an active member of NSF’s EarthCube Community, serving as PI on the Cloud-Hosted Real-time Data Services (CHORDS) and Co-PI on the Enabling Scientific Collaboration and Discovery through Semantic Connections (EarthCollab) Building Blocks. He holds a Bachelor of Science degree in Computer Information Systems from Regis University in Denver, Colorado.